Ah.. I just realize that it has been quite sometime since the last time I wrote and post to my blog. 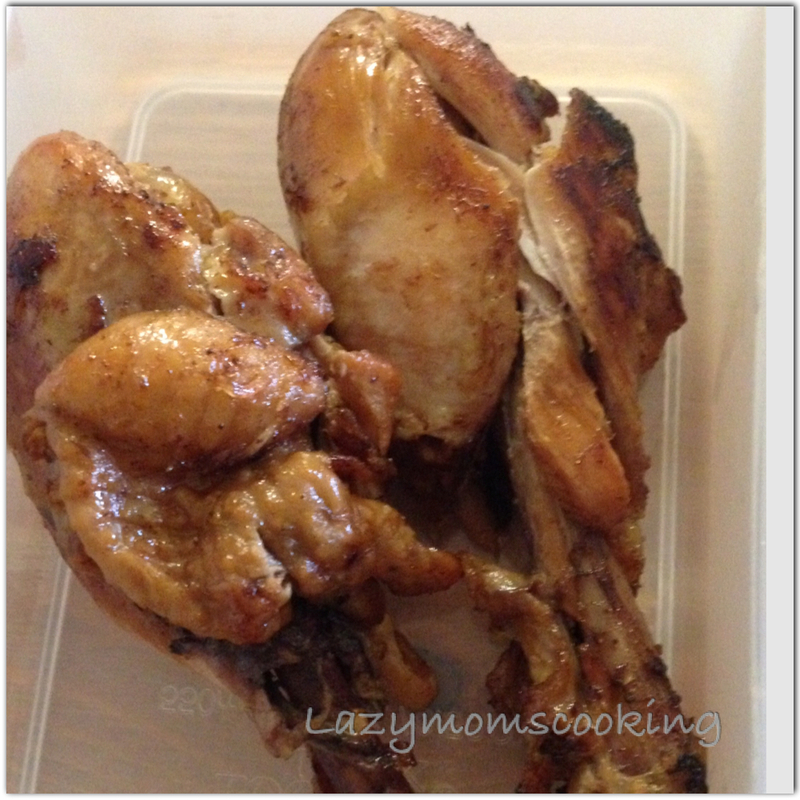 Now you should understand why my blog's name is lazy mom's cooking! One day, my younger brother sent me a message and asked if I still remember Coconut Water Fried Chicken which we used to eat on our childhood time! Of course I still remember! And he asked me if I can cook it and he wanted me to cook for him! To be honest, I don't really know the recipe, but I think I know what I should do to cook this dish! I told him that I will give it a try and I will cook it for him when I come back to my home country for holiday next time! My first try, I let my family and one of my friend to try it! And the result is good! My husband said he really like it and so do my kids. It is not difficult to cook this, It just you need time to prepare it. Do you want to try too? Please check the recipe below! - Grind garlics, shallots, coriander, palm sugar and salt all together. - After two hours, high the heat to medium and let it boil until the water almost run out. - Heat the cooking oil and ready to fry those chickens drumsticks. So why don't you try it now?